Cambodia's defence minister lauded a decade of corporate sponsorship of the country’s military, which he said had enabled underfunded units to acquire weapons with the backing of affluent supporters. Prime Minister Hun Sen’s policy on the relationship between Cambodia’s powerful tycoons – known as oknhas – and the armed forces and government departments was formalised in a sub-decree passed in February 2010, and has been roundly condemned by rights groups ever since. But Minister of Defence Tea Banh, speaking at a gathering of hundreds of military officials and business people at the Peace Palace yesterday, said the policy had been a resounding success, as it had unlocked funds for the Royal Cambodian Armed Forces (RCAF) to purchase weaponry and allowed officers to get a taste for development. “It is a culture of sharing and contributing to our nation, between civil institutions and RCAF, during a period in which the armed forces have faced difficult living conditions,” he said, without naming the companies that had funded the weapons purchases. “The issue is that members of the RCAF are not allowed to run businesses, as it is against the law, so the idea of the premier is good and it has been successfully implemented,” he added. “Seventy-three per cent of our annual budget went to salaries … and the remainder we used to repair barracks, so we don’t have enough money to buy weapons or aircraft,” Banh said. 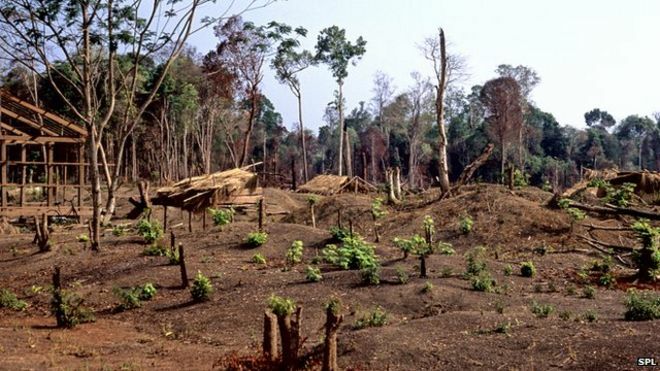 Cambodis's most crucial forests are disappearing at a rate of more than 2,000 square kilometres a year, as agricultural firms continue to harvest timber by illegal means in protected areas and national parks, according to a study from Washington-based Forest Trends. The report, released yesterday evening, uses satellite imagery to link “the growing number of industrial agricultural development projects to the escalating destruction of Cambodian forests”. Combining data culled from NASA satellite pictures of 32,053 hotspots during the 2012-13 dry season with the measurement of carbon emissions, Forest Trends determined that companies controlling ELCs were logging some of the country’s oldest and most valuable forests. Those forests, the report says, fall not only on land designated for plantations – often stripped of trees then left simply abandoned – but in protected areas and national forests as well. “The fact that permits for economic land concessions are being used as an unlawful vehicle to exhaust the remaining timber resources of the country at such a rapid rate represents a total system failure of the country’s forest protection laws,” Kerstin Canby, director of Forest Trends’ Forest Trade and Finance program, said in a statement. The report says that in 2013, 2.6 million hectares of land, or 14 per cent of the entire country, was accounted for by economic land concessions (ELCs) – almost four times the amount held by companies in 2004. Few have paused to consider what the TPP means for the four Southeast Asian nations in negotiations: Vietnam, Malaysia, Singapore, and Brunei. A range of issues are at stake, from currency manipulation to regulation of state-owned enterprises (SOEs), which have particular relevance for Southeast Asia’s state-centric economies. The TPP could bring about significant financial and social reforms to these countries, opening the playing field to foreign investors while introducing progressive labor standards and environmental protections. Chea Dara delivers a speech at the Peace Palace in Phnom Penh, July 29, 2015. The armed forces must serve Prime Minister Hun Sen’s ruling Cambodian People’s Party (CPP) because he cares for and leads them, General Chea Dara told military commanders, government officials and members of the private sector outside of Hun Sen’s office in the capital Phnom Penh, known as the Peace Palace. “Every soldier is a member of the People’s Army and belongs to the CPP because Samdech Decho [Hun Sen] is the feeder, caretaker, commander and leader of the army,” said Chea Dara, who is among several high-ranking military officers recently incorporated into the CPP’s Central Committee. Chea Dara also warned that any attempt by the public to start a color revolution—named after a series of popular movements that used passive resistance to topple governments in countries under the former Soviet Union during the 2000s—would be suppressed by the army. “Any kind of color revolution absolutely must not happen,” he said. Opposition Cambodian National Rescue Party (CNRP) spokesman Yem Panhrith on Wednesday expressed concern over Chea Dara’s comments and called for reforms in the government’s executive branch to ensure a separation of military and state. “It is very regretful that he seems to not understand what a national army is, what a prime minister is, and what the executive branch of government is,” he told RFA’s Khmer Service. “His understanding is clearly limited,” he said. Political scientist Ros Ravuth told RFA that because the armed forces are paid through the national coffers, they must serve the nation. “In fact, what he said is incorrect because the Cambodian armed forces and police forces belong to the nation and have duty to protect national sovereignty,” he said. Suspended opposition lawmaker Um Sam An (pictured) has appealed to Foreign Affairs Minister Hor Namhong to discuss recent border disputes when he meets with his Vietnamese counterpart during a bilateral meeting on the sidelines of an Asean summit in Kuala Lumpur scheduled for next week. “I don’t have any official statement, but the government must be strong-willed to raise the ongoing border issues with Vietnam, because so far, Vietnam has not responded to any diplomatic notes,” said Sam An, a Cambodia National Rescue Party lawmaker who has led several rallies around the Cambodia-Vietnam border in recent months. Sam An’s call followed the release of a press statement by the Ministry of Foreign Affairs’ yesterday, which said Namhong would lead a delegation to the August 3-6 Asean summit in Malaysia and meet with a host of other officials from around the region. In addition to Vietnam Deputy Prime Minister Pham Binh Minh, Namhong will hold meetings with Chinese Foreign Minister Wang Yi, Russian Minister of Foreign Affairs Sergey Lavrov and Australian Foreign Minister Julie Bishop. 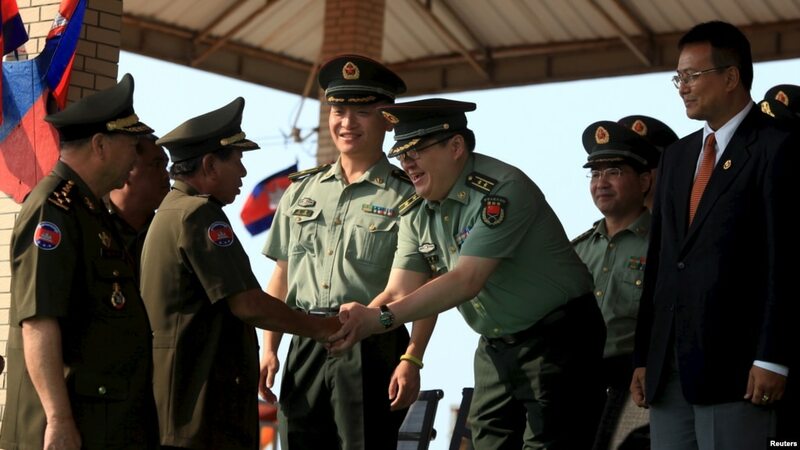 Cambodia is strengthening its military ties with China. Cambodian Defense Minister Tea Banh spent five days in China earlier this month. He met with high-level military officials and received promises of assistance from the military. Mr. Tea Banh told VOA his visit was successful in bringing military cooperation between the countries even closer. He said Cambodia now has stronger military ties with China than with the United States. Observers say Cambodia is likely to seek closer ties with China because of growing tensions with Vietnam over border issues. Cambodia and China have traditionally enjoyed good relations. But the two sides grew closer after a 2012 summit of the Association of Southeast Asian Nations (ASEAN). 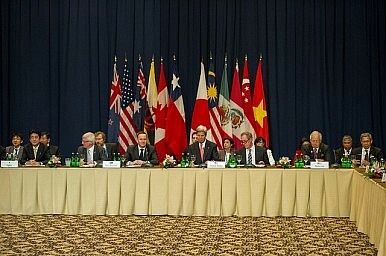 At the meetings, Cambodia supported China in a dispute with other countries over the South China Sea. The following year, China provided a $195 million loan to the Cambodian government. Cambodian officials used that money to buy 12 Chinese military helicopters. In May of this year, China promised military trucks, equipment and chemicals to Cambodia’s military. Rom Sarorn speaks to RFA in Battambang province's Banan district, July 28, 2015. School of Vice: Is this another one of those skewed logic of the CPP's rank and file or just its typical brain-washed, indoctrinated automated response to the question? An act of invasion is already, by any definition, a taking-over of another country's or nation-state's territory and constitutes a violation of its political independence and sovereignty. This was one reason why the country's UN seat was withheld from the Vietnamese-created Phnom Penh regime up until the political settlement and UN supervised election in the 1990s after over a decade of armed resistance and countless lives sacrificed. The physical border markers and their alleged violations of Cambodia's territory today and, since that invasion in 1979, give us only a glimpse of the overall scale and magnitude of that event's legacy and gains in the invaders' favour and at incalculable expense to Cambodia and her people. One has only to open one's eyes and look around oneself to see the manifestations and effects of this odious legacy. And why are many areas on the Cambodia side of the already planted boundary markers off-limit to Cambodian people only? An activist with Cambodia’s opposition party on Tuesday accused a former senior official with the country’s intelligence organization of making death threats against him, causing him to fear for his life, and has called on local authorities and civil society groups to investigate the incident. Rom Sarorn, an activist with the opposition Cambodia National Rescue Party (CNRP) in Battambang province’s Banan district, said he was attacked by the former deputy commander of Division 52 in charge of Cambodia’s intelligence agency, Phon Sophaon, on July 26 as the two discussed politics at a local café. According to Rom Sarorn, the two men had been arguing over the purpose behind CNRP President Sam Rainsy’s ongoing trip to Paris, when Phon Sophaon began beating him, injuring his eye. Sam Rainsy is traveling in Paris to build support for Cambodia’s democratic ambitions, and has drawn criticism for leaving the country last week on the same day that 11 CNRP activists were sentenced to prison terms of up to 20 years for taking part in a July 2014 protest that turned violent. Rom Sarorn claimed Phon Sophaon also “threatened to kill me,” and said he is now living in fear, urging provincial authorities and civil society groups to “take immediate action” against the former deputy commander. Phon Sophaon—also known as Lorn—acknowledged to RFA that he and Rom Sarorn had a political disagreement, but said it was related to an ongoing territorial dispute with Vietnam along the country’s shared border with Cambodia. Echoing remarks by Prime Minister Hun Sen last week, Minister of Defence Tea Banh called on the military yesterday to be ready to suppress any attempt at a “colour revolution”, telling soldiers that agitators were fomenting such a revolution at that very moment. Speaking at a ceremony marking the completion of training at a Kampong Speu military base, Banh warned cadets that the political situation in the country was rapidly changing, and that without caution, a revolution could break out at any time. Explaining to the troops the premise of colour revolutions – named after a series of popular movements in the former Soviet sphere and elsewhere, typically marked by passive resistance – Banh said that such movements build power at a grassroots level, and are capable of toppling a government through non-violence. Banh went on to draw parallels to recent civil society protests against the recently passed controversial NGO law, as well as opposition Cambodia National Rescue Party trips to sections of Cambodia’s disputed border with Vietnam, and characterised organisers as malcontents. “If they cannot get anything that benefits them, they claim this is not a democracy. If we cannot control democracy, it will become anarchy,” he said. “There will be absolutely no colour revolution in our country. Their attempt to create a colour revolution is not over.… They keep putting society in turmoil. After a brief detente since July 22, 2013 when CPP and CNRP agreed to end a post election political crisis, political environment has been boiled again as CNRP's MPs have challenged with the government's opaque border demarcation with Vietnam by organizing two trips to visit border posts suspected deeply installed inside Cambodian territories. A brawling between Vietnamese and Cambodian border activists in the first trip and a larger crowd participating in the second trip which had welcomed by ebullient local people along the way have made Hun Sen furious and fear that the CNRP is still capable to rally its supporters for a short period of time to visit the border dispute with Vietnam, the most sensitive issue that can attract million of people if the CNRP plans a large campaign in this issue. In addition, a short confrontation between Mr. Um Sam An, a CNRP's MP border activist, and Heng Samrin that led to his disciplinary punishment from Heng Samrin, and the other formidable news that the ICC case against Hun Sen has emerged again when a lawyer for the victims of land grab, has submitted more numbers of victims to the ICC case against Hun Sen. All such a coincidence is apparently to make Hun Sen sleeplessness again. To respond to that awed strike, Hun Sen has swiftly thrown the court pending 11 CNRP's activists into a long jail term, then he summoned all top military and police officers to pay loyalty to him though he used the term of protecting the constitution and his legitimate government. During his speech to those officers, he slammed the opposition lawmakers who had led a big crowd to visit the border, and he threatened to handcuff those lawmakers if violence happened again disregarding of their immunity. Also, he instructed all levels of military and police officers to strictly prevent all kinds of color revolution, using all means to subdue and extirpate them immediately since he saw thousands of jubilant youths crowding on the border, reminding him the post-election protests which had swept Phnom Penh in late December 2013. The threats of words and actions by Hun Sen has embroiled a political environment into a post election crisis again and made the opposition facing conundrum or a confused and difficult situation. PHNOM PENH (Khmer Times) – The government is strengthening the quality of the civil service, warning that staff who fall short of standards will be let go and that so-called “ghost workers” will be eliminated, Interior Minister Sar Kheng said yesterday. Mr. Kheng also announced a new commission would be formed to investigate the ministry’s staff in the wake of damning reports identifying the widespread existence of “ghost workers.” Such employees are registered as salaried employees but either do not exist or do not show up for work. He hopes the commission can serve as a “radar” system to reduce ministry expenses as well as root out ghost workers and unpunctual employees. “In order to improve the work quality in the ministry, we would like to have job application examinations to recruit qualified officials,” said Mr. Kheng. Mr. Kheng also warned that the ministry is now looking to root out corruption in every office. “We also will crack down on any activities of corruption that happen during the job-application process, such as bribery,” he said. “In the future, we want to have job interviews for the chief and vice chief of each department,” the minister said. PHNOM PENH—Cambodia remains on a watch list at the US State Department, for failing to do enough to combat human trafficking. In its annual Trafficking in Persons report, the State Department kept Cambodia a “tier 2” country. “While the government continued to prosecute and convict traffickers, including one case involving the forced labor of Cambodian men on commercial fishing vessels, it failed to increase overall efforts to combat all forms of human trafficking from the previous year,” the State Department said in a statement. The report cites corruption, insufficient funding and ineffective support for victims—including fishermen trapped in slave-like conditions aboard Thai fishing vessels—as reasons for the tier-2 status. The government enacted an anti-trafficking law in 2008, but outreach via a national committee has been poorly funded, the report says. For people contemplating a holiday in Cambodia, take note: starting in January police officers in that country will personally receive a 70% commission on traffic fines they issue. 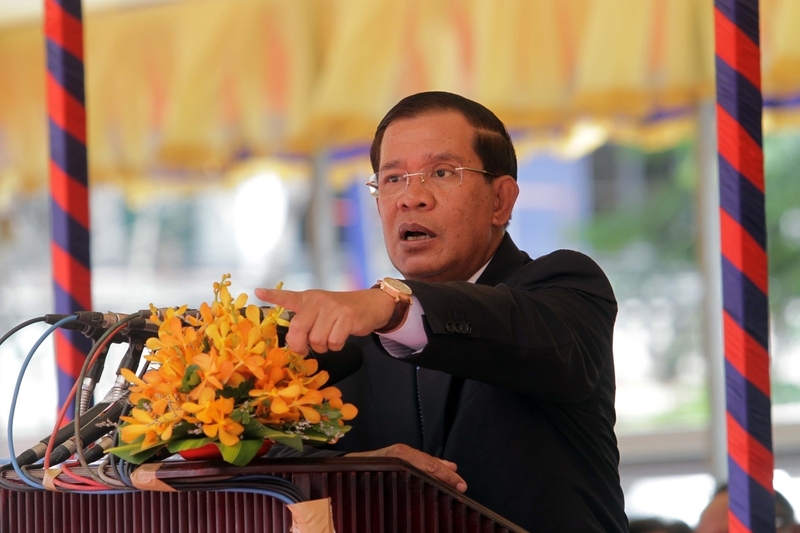 This new rule, says the Cambodian government, will reduce corruption. It seems like it legalizes corruption, but whatever. Currently, traffic cops keep half of much smaller penalties, meaning that many supplement their meager salaries by soliciting bribes. The current $1.25 official penalty for not wearing a car seat belt, for example, will rise to $6.25, with the officer allowed to keep $4.38. Of the remaining 30%, some 25% will go to the station where the officer is based, with the final 5% sent to the Ministry of Finance. PHNOM PENH, July 29 (Xinhua) -- China Fujian Zhongya Culture Media Company and the Cambodian Interior Ministry on Wednesday signed a cooperation agreement to build a television station in Cambodia. The deal was inked here between Huang Yichuan, representative of China Fujian Zhongya Culture Media Company, and Gen. Mao Bunarith, director general of the ministry's general department of logistics and finance, under the presence of Cambodian Deputy Prime Minister and Interior Minister Sar Kheng. "The Interior TV station is estimated to cost 30 million U.S. dollars," Sar Kheng told reporters after the signing ceremony, adding that it would be located in the western outskirts of Phnom Penh. The Interior TV channel will launch its broadcasting operation next year, he said, declining to give the details of the percentage of shares each side holds. Gen. Mao Bunarith said this new channel will begin broadcasting on trial in early 2016 and officially launch in mid-2016. "It will be an international standard TV channel that uses satellite technology," he said. He said the Interior TV channel will focus on news, education, entertainment, general knowledge, arts, and economy. Huang said the would-be TV channel will contribute to the development of the media sector in Cambodia. "We will bring reliable and fast news on politics and economy to the Cambodian audience," he said. ANGELINA JOLIE is eager to have her adopted son Maddox learn more about his heritage as she gears up to direct a film about his native Cambodia. The Unbroken director adopted Maddox from a Cambodian orphanage when he was just seven months old in 2002, and now, nearly 13 years later, both Jolie and Maddox are returning to his homeland as she helms First They Killed My Father: A Daughter of Cambodia Remembers. The film is based on Cambodian author and human rights activist Loung Ung's tale of surviving the notorious Khmer Rouge regime, and Jolie tells the Associated Press that her goal is to help her teen son remember where he came from as he assists her on the project. She says, "Maddox will be on set every day after school and involved behind the scenes... As Maddox and I prepare the film we will be side by side learning about his country. He is turning 14 next week and this is a very important time for him to understand who he is. He is my son but he is also a son of Cambodia. SIHANOUKVILLE (Khmer Times) – New shipping agreements will soon be signed between companies in Cambodia and China that will see the Kingdom’s largest port continue its transformation into a regional hub, port officials say. China Ocean Shipping Company (Cosco) and China Shipping Container Lines (CSCL) are expected to sign deals with the Sihanoukville Autonomous Port (SAP) to increase direct shipping services between Cambodia and China within weeks. The deals are part of a process that will eventually see direct links between Sihanoukville and the United States and Europe – the two largest markets for the country’s exports, officials said. Such a move would cut the cost of exports from Cambodia, according to the Garment Manufacturers Association in Cambodia. It will also reduce the time it takes to get garments and footwear from Cambodian factories into retail outlets in Europe and the US, said Kaing Monika, deputy secretary general of the association. Back in 2008, after two decades worth of work researching, measuring and building, a Khmer-French architect completed his dream of designing an accurate, detailed model of Angkor Wat that could be displayed world-wide. The 67-year-old architect, Ouk Vannarith, and his team were successful in capturing the unique beauty of the temple through the model’s details. After completing the model, the next phase was getting it on display so people from all over the world could study the iconic structure. At the same time in 2008, when the Cambodian government was pushing for Preah Vihear to become listed as a World Heritage site, Ouk was trying to get his model approved by UNESCO. “I brought my letter of proposal to a representative officer of UNESCO in the Phnom Penh office to present our project. They were surprised and excited to see it. Soon enough, in 2008, we put it on display with the help of the Apsara Authority for the first time,” he said. He and his team rejoiced not only for their model going on display, but also the successful listing of the Preah Vihear temple. These two moments combined made 2008 an unforgettable year for Ouk. To commemorate French National Day, Post Plus sat down with the French Ambassador to Cambodia, Jean-Claude Poimboeuf. He spoke about the recent developments between the two countries, the level of financial assistance and France’s commitment to help strengthen the Kingdom’s economy. In the one year that you have been the French Ambassador to Cambodia, how has the relationship between the two countries developed? There are two examples that could best illustrate our relationship. The first one is more symbolic, but important. I would like to say how touched we were by all the testimonies of solidarity that we received from the Cambodian people and the Cambodian leaders after the terrorist attacks in Paris in January. We had a lot of people come to the embassy to give their condolences, including the Prime Minister and the Foreign Minister. It was a sign of the deep relationship that exists between Cambodia and France. The second illustration is the developments that have happened over the past few months. Our Minister of State for Development and Francophonie, AnnickGirardin, was here in May and she signed two sets of documents. The first one was a document about the strategic partnership between France and Cambodia. And the second was a series of financial conventions with the Ministry of Economy and Finance. What specific projects are currently underway by Agence Française de Développement (AFD)? AFD has become a very big player in Cambodia with an amount close to 100 million Euros a year of financial commitments. These commitments are mostly devoted to financing projects that develop the productive sectors within the Cambodian economy. To give you one example, AFD will provide 35 million Euros to build rural roads around the Tonle Sap to help farmers ship their rice into the market. Villagers in Stung Treng province have rejected a new compensation offer from the firm building the divisive Lower Sesan 2 hydropower dam. Dozens of residents of Srekor village yesterday told a public forum attended by representatives of the Hydro Power Lower Sesan 2 Company (HPLS2) and government officials that they would not accept land and additional benefits, and called on the government to suspend the dam’s construction. “I can live naturally on my own, so please drop this development plan,” said villager Sarom Thun. Other villagers said a suspension of construction would allow time for an independent study of the dam’s effects. Kao Vang Iv, a representative of HPLS2, which is a joint venture between Cambodia’s Royal Group and China’s Hydrolancang International, sought to reassure the villagers. “Please don’t worry about it, because we’ve already conducted thorough studies,” he said. 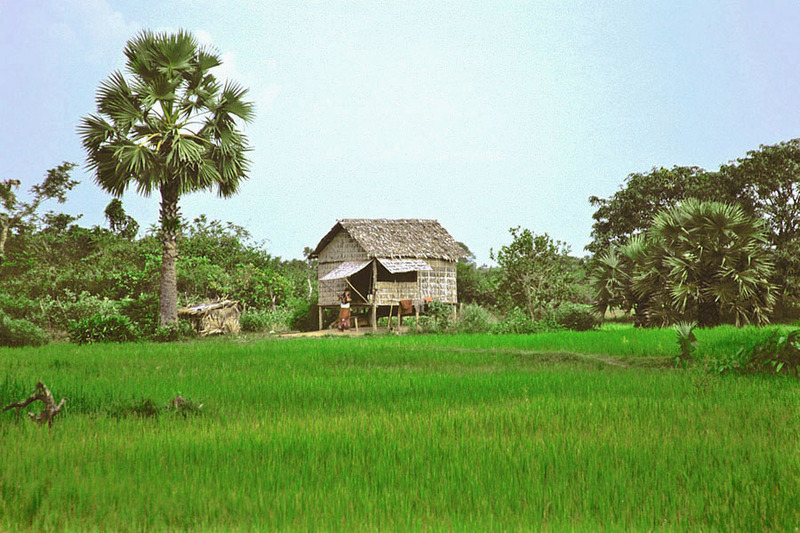 Advocacy groups, however, say that no proper impact assessments were carried out, while numerous independent studies have predicted severe detrimental impacts across the Lower Mekong River Basin. Several of the more contentious points from Cambodia’s draft trade union law have been dropped, a pro-government union leader said yesterday, although at least one major union remains unsatisfied with the pending legislation. Minister of Labour Ith Sam Heng told reporters yesterday that the law was “90 per cent” complete and would be sent to the Council of Ministers next month. “We will try our best to have an agreement from everyone on this law and make conflicts a small thing,” he said on the sidelines of the fourth and final meeting with stakeholders on the law, a meeting the Free Trade Union sat out, having declared it “useless”. 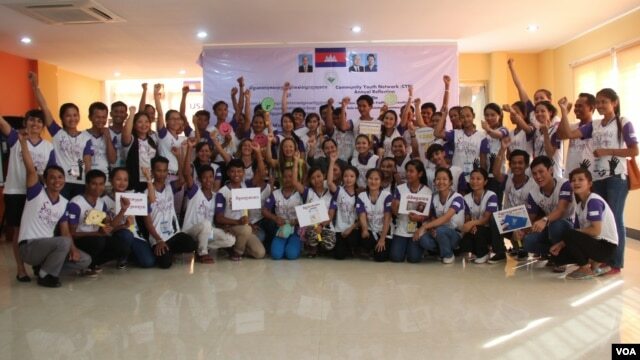 Speaking after the meeting in Phnom Penh, Som Aun, president of the pro-government Cambodian Council of National Unions (CCNU), said that the draft law was an improvement over the current Labour Law. “Most of the points that the unions were concerned about were solved and dropped,” Aun said. According to Aun, a previous clause that stipulated that 20 per cent of a factory needed to sign on for a union to be created had been reduced to 10 per cent, while unions no longer need to apply for a licence to operate and union leaders will no longer need to provide a letter about their criminal record. Aun said that if the law made it to the National Assembly as it stood now, he would support it. However, not all stakeholders were pleased with the negotiations. Hollywood actress and filmmaker Angelina Jolie Pitt – who is in Cambodia researching a film adaptation of Loung Ung’s Khmer Rouge memoir First They Killed My Father – yesterday visited Phnom Penh’s Tuol Sleng genocide museum and Bophana Center. Netflix – a US provider of on-demand internet streaming media – first announced the adaptation in a statement released on Thursday in the US. The book details the Khmer Rouge’s violent takeover of Cambodia and Ung’s years under the communist regime. In a statement released yesterday by Bophana, Jolie Pitt stressed that the book was written from the viewpoint of a young child and that the producers of the film version would go to great effort – working with historians and Bophana and interviewing those who lived under the regime – “to make sure the events in the film are depicted correctly”. “We will be spending the next few months scouting for locations, casting the film, but most importantly researching every event to make sure it is historically accurate and will pay respect not only to Loung Ung and her family but to every single individual who suffered under the Khmer Rouge,” she said. Jolie Pitt said that while the book was one girl’s memories, the film would draw on the experiences of others to “complete the story”. “The intent of this project is not to revisit the horrors of the war, but to bring to the screen characters that people around the world will identify with and empathise with and help to teach people about this country that I love and respect, and the Cambodian culture and family life I so admire,” she said. The film would be shot in Cambodia from November to the end of January using a Cambodian cast and crew in Khmer, she said.